Qualcomm’s technologies powered the smartphone revolution and connected billions of people. Qualcomm is known as the pioneers of 3G and 4G connectivity and is now leading the way to 5G and a new era of intelligent, connective devices. Today, Qualcomm has a new quest for their Snapdragon processors. 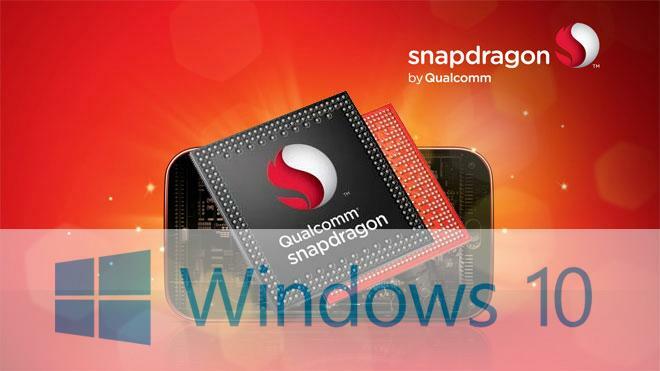 Qualcomm collaborates with Microsoft to support Windows 10 for the next generation Snapdragon processors, enabling mobile, power efficient, always-connected cellular PC devices. The next generation Qualcomm Snapdragon processors will enable Windows hardware developed to design new device form factors and to provide mobility to cloud computing. Qualcomm Executive Vice-President made a statement below about this on-going development. “Qualcomm Snapdragon processors offer one of the world’s most advanced mobile computing features, including Gigabit LTE connectivity, advanced multimedia support, machine learning and superior hardware security features, all while supporting thin, fan-less designs and long battery life. With compatibility with the Windows 10 ecosystem, the Qualcomm Snapdragon platform is expected to support mobility to cloud computing and redefine how people will use their compute devices.” - Cristiano Amon, EVP Qualcomm Technologies, Inc.
Today, PC computing has becoming more mobile and Qualcomm Technologies aim to bring the scale of the mobile ecosystem to its consumers with their unparalleled pace of innovation. The next generation Snapdragon processors can be designed to support Windows 10 to combine the best of computing and productivity to be made available in today’s leading smartphones. New Windows 10 computers powered by Qualcomm’s Snapdragon processors are expected to be available next year. For more information, visit the Qualcomm website.